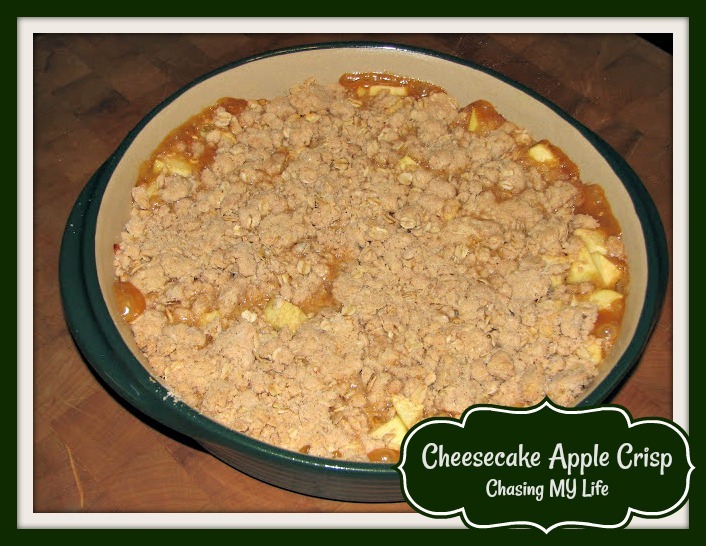 I hope you enjoy this Apple crisp. It’s simple and simply delicious!!! In a large mixing bowl combine all CRISP ingredients and mix well. Pour into an un-greased stoneware pan. In a mixing bowl combine the topping ingredients and mix until crumbly. Sprinkle topping over apple mixture. Bake 45-60 minutes or until apples are tender and topping is crisp and golden. Serve warm with a scoop of French vanilla ice cream.